Google offers a lot of exclusive songs and albums, but you can’t download the free songs from the store without associating a US credit card to Google Checkout. 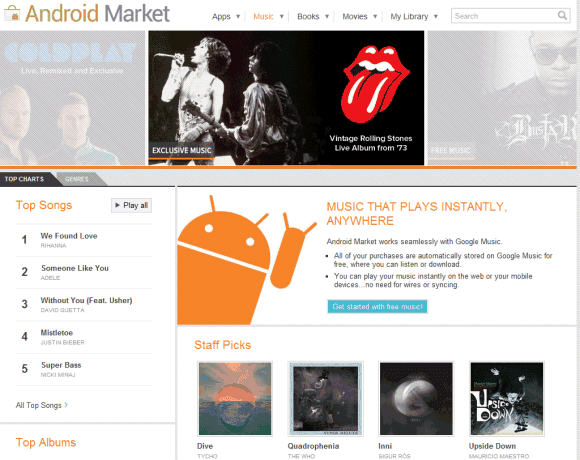 Google Music will store the songs you’ve uploaded or bought and now you can also download them. For example, in the web interface, click the arrow icon next to a song and select “Save to computer”. The catch is that “you can only download each purchased track from the web 2 times”. To download all the songs you’ve purchased from Google Music, use the Music Manager app. “Google Music is about discovering, purchasing, sharing and enjoying digital music in new, innovative and personalized ways. Google Music helps you spend more time listening to your collection and less time managing it. We automatically sync your entire music library — both purchases and uploads — across all your devices so you don’t have to worry about cables, file transfers or running out of storage space,” informs the Google blog.